Boost sales and customer engagement with dynamic, interactive digital signage. 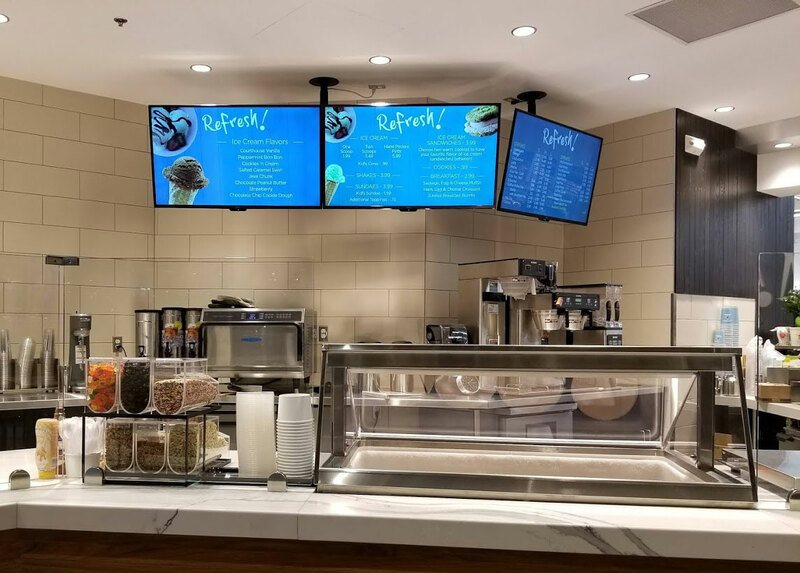 From menu boards to Point of Purchase displays, Revel Digital has you covered. Keep your guests informed with flight info, weather, menus, event and meeting boards. Create beautiful, easy to read menu boards in minutes. We provide sample menu board templates which can be easily customized to suit your project. 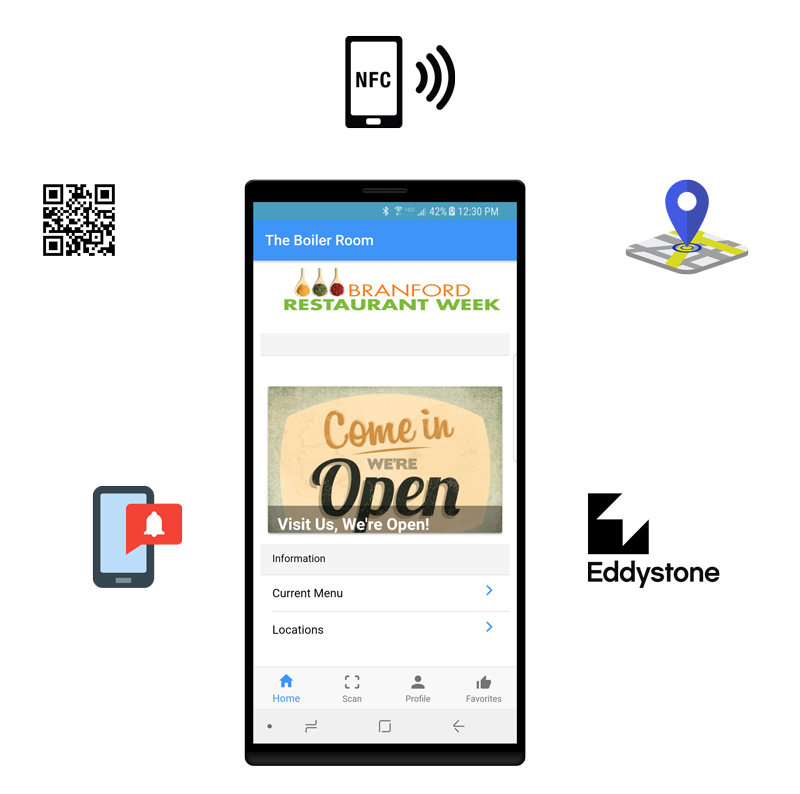 Menu prices can be managed and updated instantly either through the Revel Digital CMS, or with our EMC (Enterprise Menu Control) tools. Revel Digital provides a number of free gadgets, which are dynamic components used to integrate live data such as Google Sheets, Google Calendar, Weather, Twitter, Facebook, RSS Feeds, POS Data, & more. 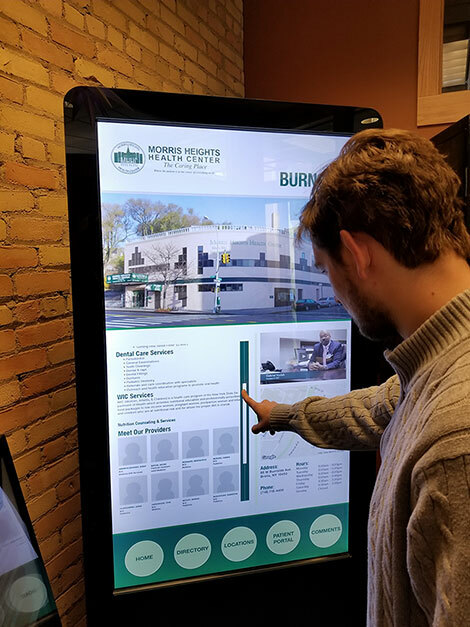 Turn any display into an interactive kiosk in minutes using any of our available methods including custom scripting, gadgets, or embedded webpages. Basic kiosks can be implemented with no programming using our Smart Scheduling technology. Just add a button to your template and assign it the cooresponding schedule trigger. Digital signage on the go! The Revel Digital platform includes FYI, a mobile solution for digital content delivery. With FYI you can schedule content for your mobile app users utilizing the same great features found in our digital signage CMS. We provide a branded version of the FYI app, ready to use. Simply determine how you want your content activated, then schedule the content you want your viewers to see. Enhance your retail presence with interactive, sensor driven displays. The Revel Digital platform supports a number of various sensors and IoT devices for increasing the engagement and effectiveness of your displays. 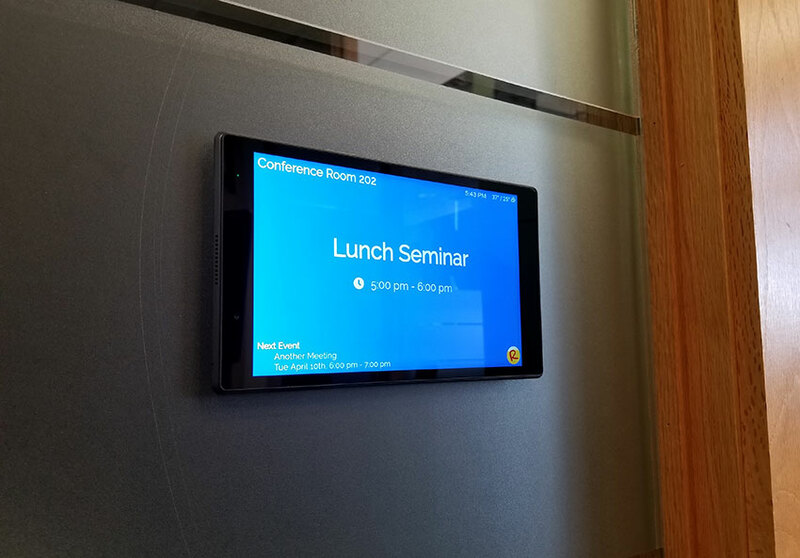 A great example of the flexibility of the Revel Digital platform, our meeting room solution utilizes our free to use gadgets for displaying current and future room reservation status. It's easy to embellish the sign with other dynamic content such as weather, clock, and custom logos or imagery.